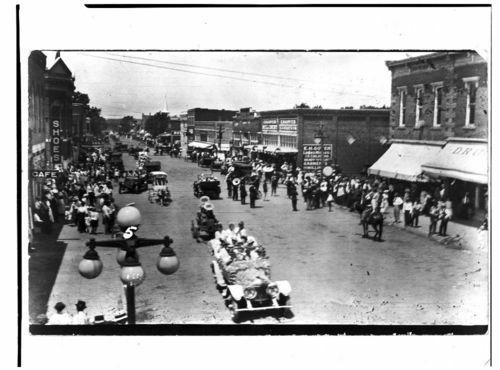 This is an unidentified parade in Neodesha, Kansas. A small band is pictured in the center of the photograph. Several business buildings are visible. The photograph, probably, was taken on Neodesha's main street.